At the start of the summer I wrote a post about ways in which you could ready your child for starting school. It’s a big step! I found it a little bit heartbreaking, nerve wracking, exciting, and everything else along the way, watching my firstborn start full time school. There’s no mistaking it for a major milestone. It might be a major milestone but when will they learn to look at the camera at the same time? But once you’ve got over that initial first day pride and terror; after that, comes The First Term. Look I’m sure it will go smoothly and happily for you and your child, but it is a huge adjustment and even if your child isn’t having meltdowns the entire way home (normal), it is very likely that you may want to make some changes to your daily schedule to keep the weeks positive, especially as the first term will likely coincide with worsening weather and darker nights. Here are my top six ways to make life easier in the first term. Even if the new school is a totally happy place for your child, they are navigating a lot during the day. It’s a long day out! They will be eating lunch, navigating classroom rules, playgrounds, friendships, PE lessons. 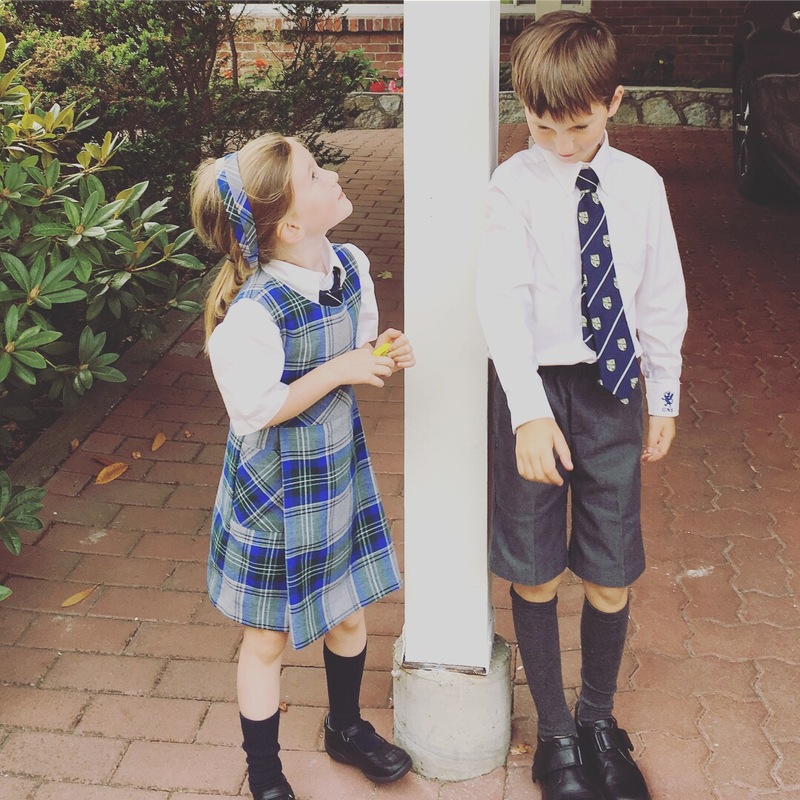 When they come home, they need to transition back to a sense of home and calm: sometimes that first half an hour can be a bit fractious (i.e., a total fiasco). I tried a few things to improve the transition period – a fun activity set up, play dates, food – but actually, I think the most effective way to make sure your child feels comfortable and relaxed, quickly, is just to sit down immediately and have a really big hug. I wrote before about children being aware of the senses, in helping children during a house move. And again, during a period of transition and the start of school, making sure that you are listening to some cosy familiar music, burning a familiar candle, in the mornings and again when they first get home from school – this can help them feel really calm and secure. 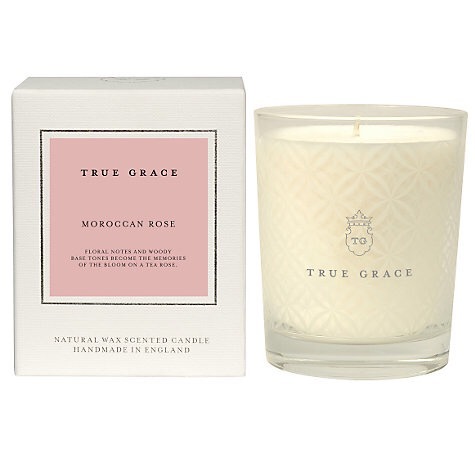 In case you needed any more excuses to buy candles. That is, they might need an energy boost after school with an extra snack – either en route to home or after you arrive, but you will be surprised / horrified how quickly a one-off treat snack becomes a non negotiable requirement so unless you want to be completely beholden to bringing a snack to every pick-up, approach this with caution (or at least be aware of what you are letting yourself in for). 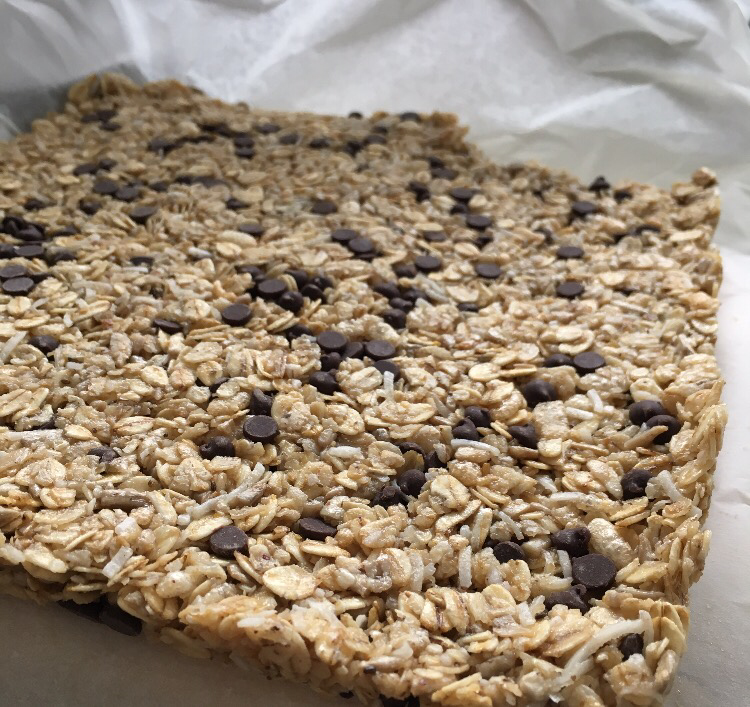 Might I suggest these smug and lazy granola bars as the perfect post school snack? You might need to just shift your evening routine forward for a while and if ever there was a moment to be flexible: this is it. If you are battling a terribly grumpy mood all evening after school this is likely just to be exhaustion and an earlier bedtime might be essential. Similarly you might want to consider making concessions in areas you usually stand firm. For example, I am currently writing this with our 5 year old, asleep next to me on our bed while I put Wilf (our 14 month old), to bed. This won’t be every night and I think it’s fair to say there’s no real danger of forming any (more) bad habits, but just that during a transition a bit of extra security can be helpful. Two fold: from school, and from your usual social routines. Obviously the former might not be an option but if it is, then consider keeping things fluid and not expecting too much in the first term. If your child is really exhausted and you are at home, or working from home, then there’s nothing wrong with keeping them off school for a day (or a morning). Being 4 and exhausted is a pretty good reason for some recuperation time. Don’t feel the pressure to keep up on play dates either. They are socializing all day and might just need to be quietly at home after school. This news is exceptionally welcome if you, like me, are deeply antisocial. This is probably the most important bit and one I have to remind myself of, frequently. Whatever your thoughts, worries or reservations, you need to seem totally calm, in control, and happy about the set up. Your child needs to know that you have this covered and that they are in a safe and happy place in order to be confident. So. Have a hug, burn a candle, eat nice food, give yourself a break, take time off and above all else, fake it til you feel it. The tMatM approved ways to survive the first term of school. Any you’d like to add?